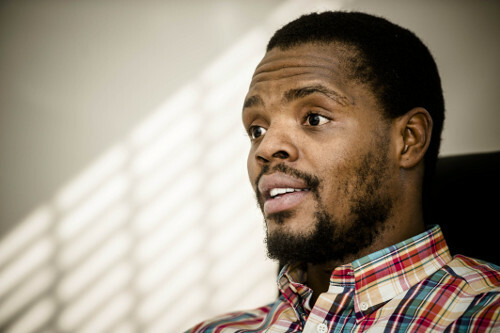 Mcebo Dlamini is a complex man. He’s the former SRC president at Wits. He spent his days claiming to be a Sisulu grandchild, spinning tall tales of political grandeur and insight into a liberation family that he actually had no ties to. The story may have changed many times, details being replaced with more believable ones as the lie grew bigger, but they remained untrue. Despite the student media expose of Dlamini’s history of lying, Dlamini went on to rise through the ranks of the ANC alliance’s “progressive” student movement at Wits. After the lies — and the confession, that he was neither a nuclear scientist in training, nor a Sisulu — Dlamini still seemed successful in politics. Of course, Dlamini’s career came crashing down when he took to the internet and told his (gullible?) audience of supporters that he admired, even loved, Adolf Hitler. Still, a steadfast group of cadres decry the brutality of the system holding Dlamini to account for his behaviour — something no one seems to have done for the last few years. When Dlamini pretended to be someone he wasn’t, and lied month after month, visited a student journalist at night and implored her to drop the story, no one stood back and held him to account. When Dlamini claimed to have been involved in a secret government nuclear physics programme, people didn’t even seem to flinch at the ridiculousness of the lie. Shortly after the expose, 2 606 students went on to vote for Dlamini to become a member of the SRC. Now that Dlamini is finally being held accountable for his actions, and his fantastical thoughts, there’s a growing number of people calling this racism, invoking the language of critical race theory to debunk and denounce Vice-Chancellor Adam Habib’s decision to remove Dlamini from the SRC. “When the Jewish holocaust is invoked, Jewish people temporarily feel the pain, shame, humiliation and anger that is a permanent part of the black lived experience. In our collective imaginations, whiteness is exempt from pain and suffering — that is reserved for the black. Quoting critical race catechism can be valuable and important in any discussion about spaces which aren’t accommodating to outsiders (and our universities often aren’t very accommodating). But does black consciousness activism become trite, and irreconcilably weak in its analysis, when it defends and befriends the indefensible? “Sometimes it is hard to speak,” writes the anonymous author of the above essay. Of course, for Dlamini it has never been hard to speak. His complex, fantastical stories continued unabated until journalists picked apart those stories. But the author does touch upon an important notion, one which I share with him/her: we need to ensure that a multiplicity of narratives exist in our spaces, academic and otherwise. It is only through these narratives that outsiders — black people, queers, and women — can shape the debate. Dlamini is a complex character, someone who has perhaps rightfully fallen from the political pedestal, and it doesn’t bode well for black nationalists when they attach themselves to such a toxic narrative. There are a multiplicity of narratives out there; stories that need to be heard, and fights that can be fought. I don’t share the political ideology of the anonymous author or the steadfast supporters of Dlamini, but I believe in the inclusion of those stories. Sadly, when activists latch onto any narrative — without thinking about the context beyond their theory — then they risk their struggle in its entirety. Defending Dlamini isn’t strategic, nor is it wise. And it begs the question: If black consciousness activists continue defending vitriol, and befriending the indefensible, will they end up becoming their own worst enemy?